"If anyone asks you what kind of music you play, tell him 'pop.' Don't tell him 'rock'n'roll' or they won't even let you in the hotel." 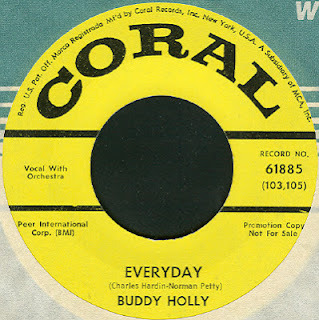 "Everyday" is a beautiful song written by Buddy Holly and Norman Petty, recorded by Buddy Holly and the Crickets on May 29, 1957 and released on September 20, 1957 as the B-side to "Peggy Sue". 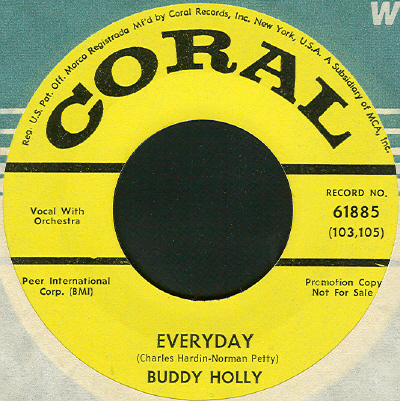 In the Original version, Buddy Holly plays acoustic guitar; drummer Jerry Allison did notplay the drum but slaps his hands on his lap for the beat; Joe B. Mauldin plays a standup acoustic bass; and producer Norman Petty's wife, Vi, plays the celeste. The song's length is 2 minutes and 5 seconds. 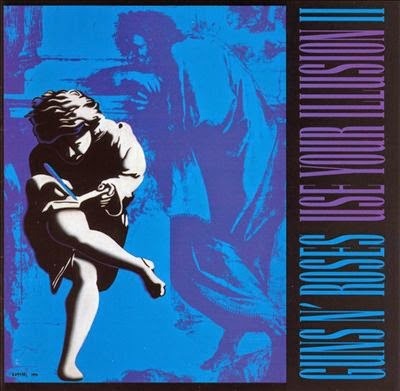 The song is ranked #236 on the Rolling Stone magazine's list of The 500 Greatest Songs of All Time. -John Denver recorded this song on his 1971 album Aerie. -Erasure on their 2002 album Other People's Songs. -The song has also been performed live by Deep Purple. -Hellogoodbye on their 2008 EP, Ukulele recordings. -Phil Ochs used a portion of the song as part of his 'Buddy Holly Medley' which appeared on 1974's Gunfight at Carnegie Hall LP. -In 1990, British guitarist Peter White's recording was released on the album Reveillez-Vous. -Patrick Stump has recently contributed a cover version for Buddy Holly tribute album, Listen to Me: Buddy Holly (2011). -John Denver and The Trashmen , Rogue Wave. Don McLean also recorded the song. -Gummo (1997)directed by Harmony Korine. -Lynne Ramsay's "We Need to Talk About Kevin". 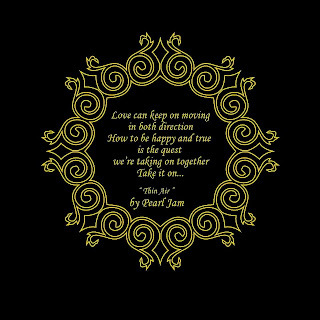 -The song featured in a television commercial for an AT&T BlackBerry, in Episode 11, Season 4 of the -television show "Lost"
For me this song is a favorite since Tim Burton's film Big Fish and recently the song is my 4 year old son's anthem.